Adding a superior quality PVCu conservatory from our extensive range of product options, is the perfect way to create a completely new living space, designed specifically around your lifestyle needs. Adding a conservatory to your home really can transform not only the house itself, but more importantly, life within the home. That’s because when you add a conservatory, not only do you get an additional contemporary living space which creates a more comfortable, more spacious home, you also add value to your property by virtue of having an extra room. 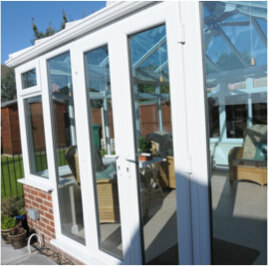 So, whether you’re looking for additional space to create a children’s’ playroom, are looking to create a family dining room, or are simply looking to add an informal family space, The Home Design Group offers a wide range of high quality conservatories, all made to order by us, just for you. 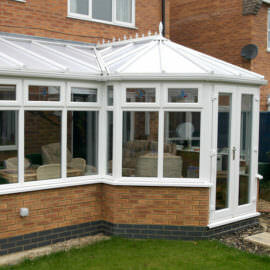 Building a conservatory is a smart way to add more living space to your home. Whether you are looking to create a playroom for the children, a stylish entertainment area or an indoor-outdoor place to relax with family throughout the year, this home extension offers endless possibilities. 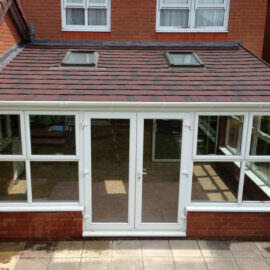 Affordable and low maintenance, modern PVCu conservatories are gaining popularity with homeowners across Belfast. For one, it is cheaper than moving to a larger house. And secondly, it adds value to your property. At Home Design Group, our high-quality solutions are designed to your taste and lifestyle. Let’s discuss how you can enjoy this well-designed additional space. One of the first things to think about is what design you would like. 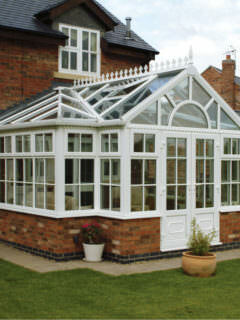 Below, our experienced conservatory builders explain a few popular styles. 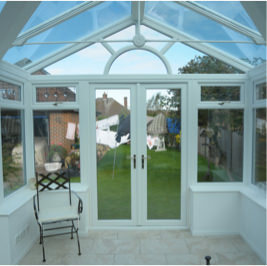 Edwardian, Victorian or an Orangery with a glass ceiling and walls; no matter which you choose, our uPVC conservatories transform your home and lifestyle. Victorian: If you live in a vintage property and want a home addition that will match its traditional look, this style is ideal. Usually octagonal or hexagonal, the rounded shape offers a clear view of your beautiful garden while making an elegant statement. Edwardian: The square or rectangular shape and contemporary feel is well-suited for properties with a modern look. The box-style floor offers plenty of room for furniture while a pitched roof gives it an impressive feel. Lean-To: The clean lines compliment all types of architecture. Flexibility of design and the ability to customise doors, windows and the finish makes it popular with many homeowners. The simple shape makes it possible for bungalows and properties with limited or awkward space to have a beautiful sunroom or entertainment area. 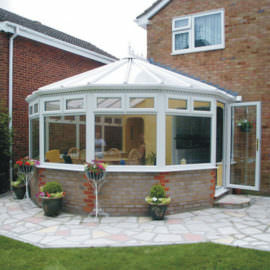 Orangeries: Handsome brick pillars with translucent walls of glass make this a grand addition to your home and garden. A combination of glass walls and ceiling optimises the penetration of natural light while adding a touch of class to your home extension. Modern glass technology keeps it warm in winter and cool in summer. 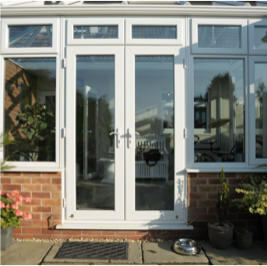 Though traditionally made of timber, today they are available in low-maintenance uPVC as well. Your next decision will be the choice of material. 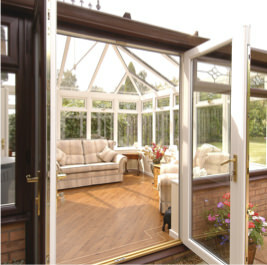 Conservatories are available in timber wood, aluminium and uPVC (also known as PVCu). 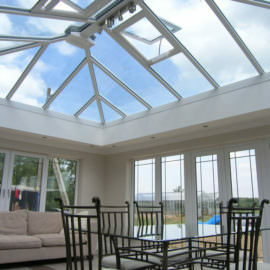 Easy to fabricate, install and maintain, uPVC conservatories are in high demand. Here some important reasons why. Low on cost, high on style: Although the cheapest conservatory material when compared to timber and aluminium, it affords you a high degree of customisation. 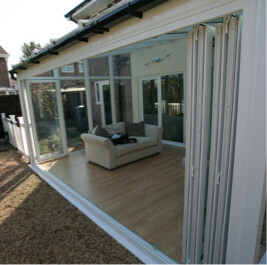 Excellent insulation: Enhanced thermal features keep your conservatory warm in the winter and cool in the summer. Low maintenance: You can simply wipe them down and they do not require painting. Long lasting: They do not swell, warp or rust. Finding the right conservatory builders will save you time, money and help ensure that your conservatory will last for years to come. 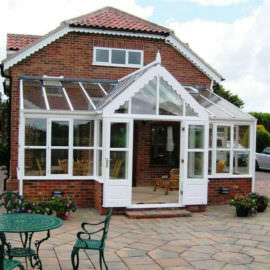 We offer a wide range of high-quality PVCu conservatories, all made to order by us, just for you. It is the perfect way to create a completely new living space designed specifically around your unique lifestyle needs. 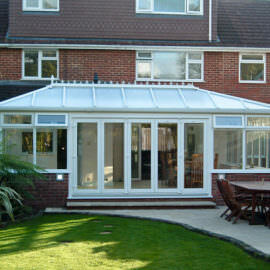 Book an appointment for a free conservatory consultation or request a call back.